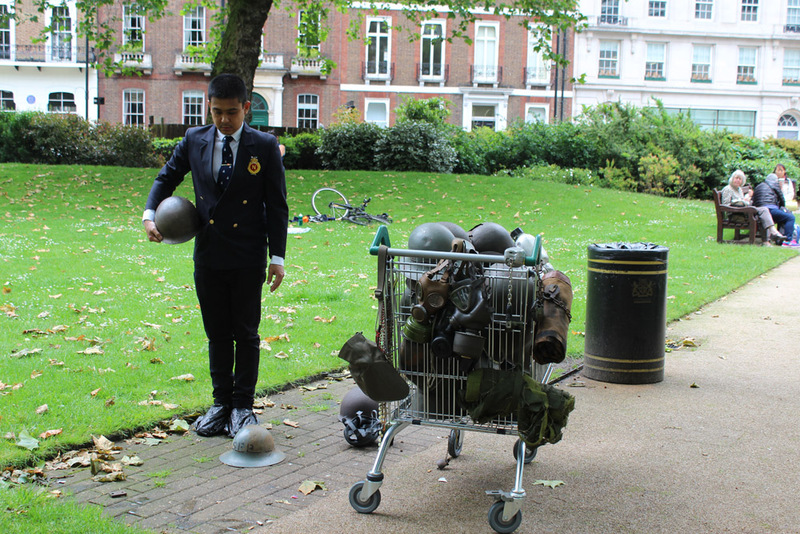 Kilapsaw: Everything Must Go is a durational performance which tests the limits of humans in an urban space rife with materialism. 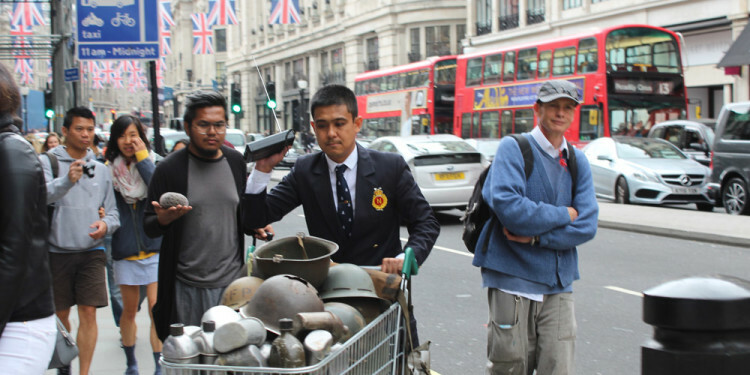 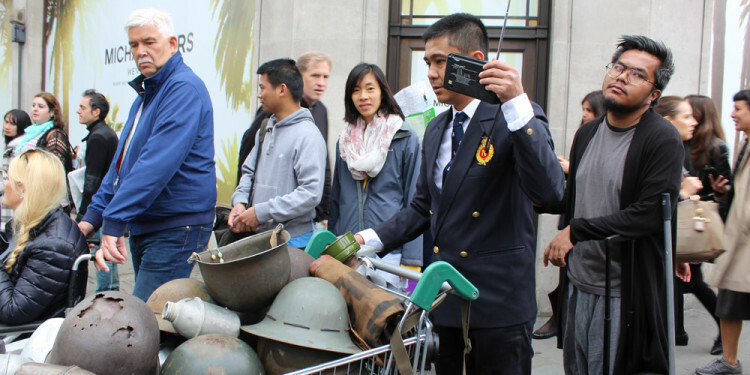 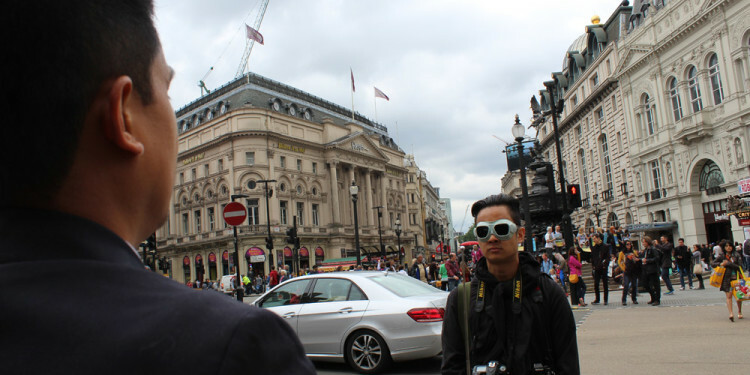 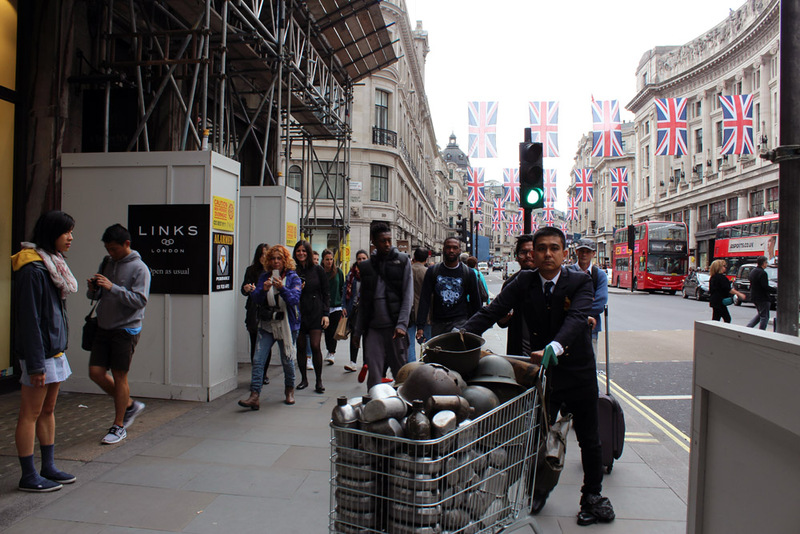 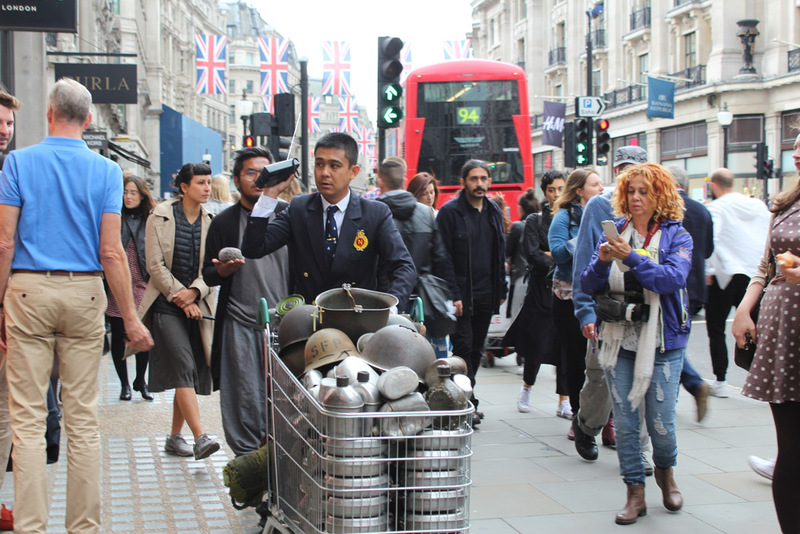 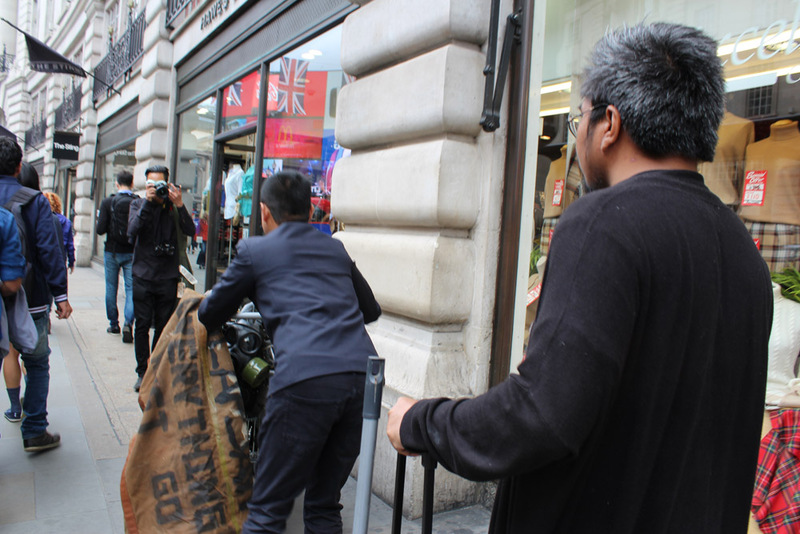 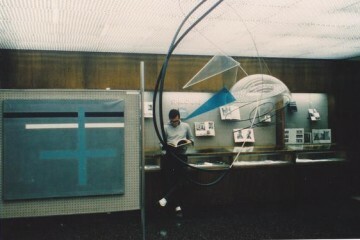 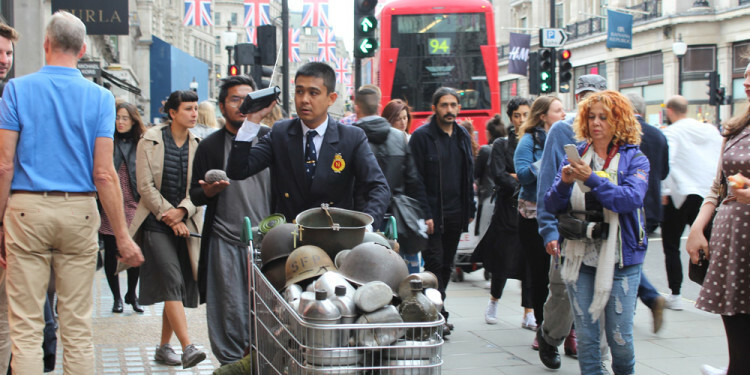 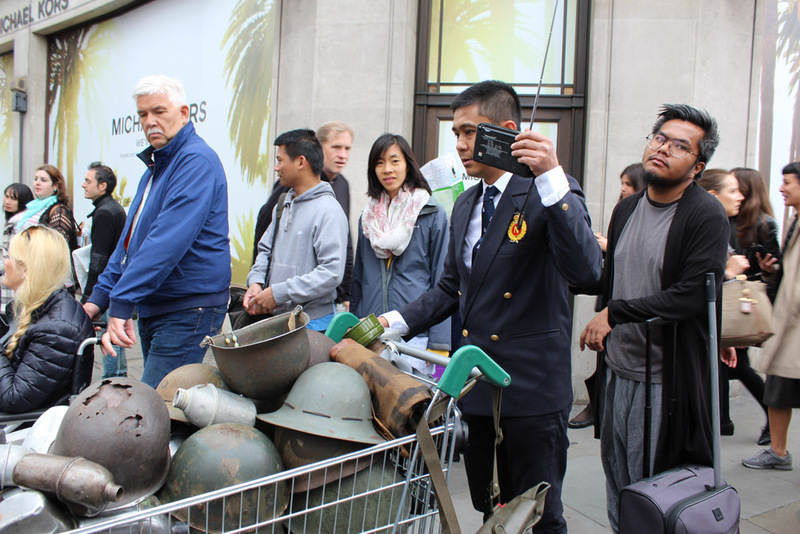 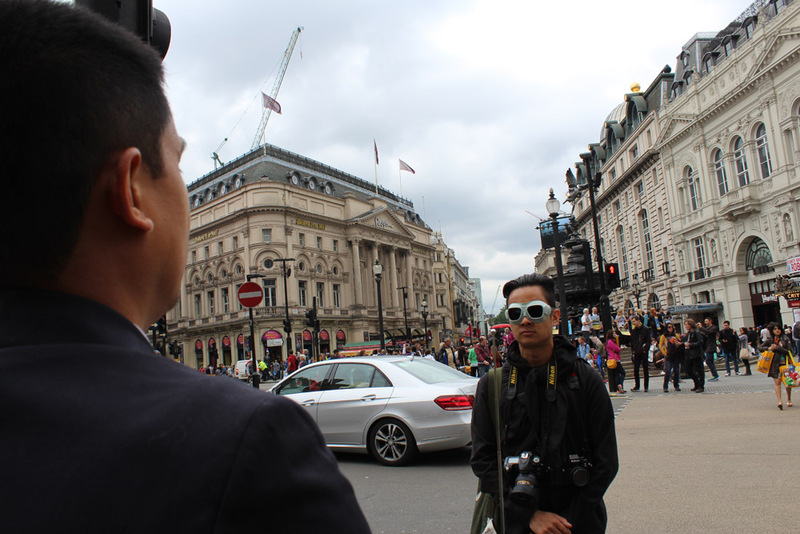 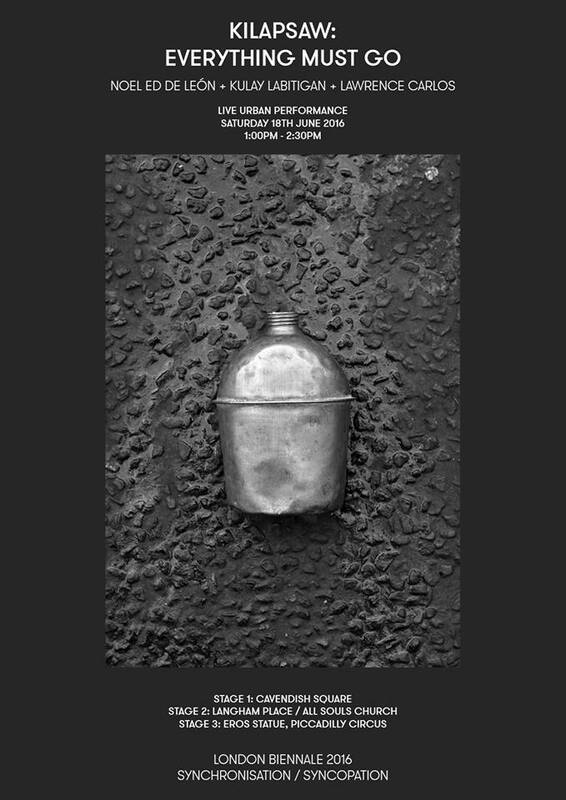 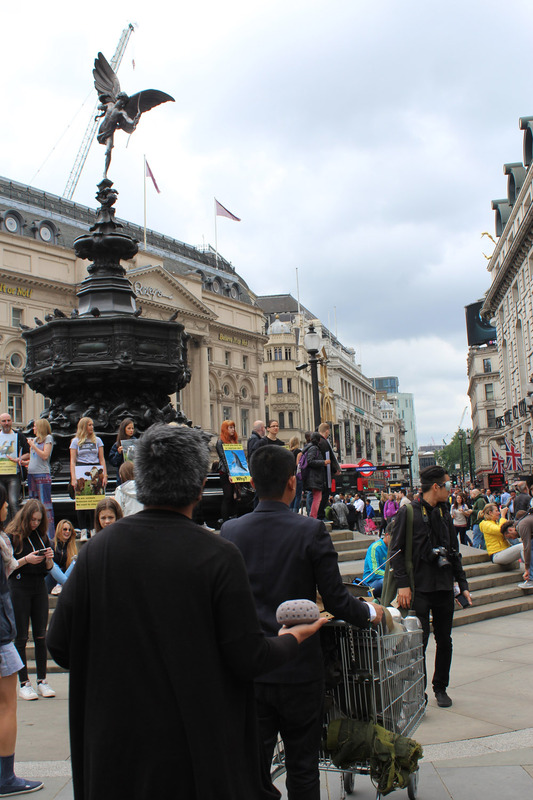 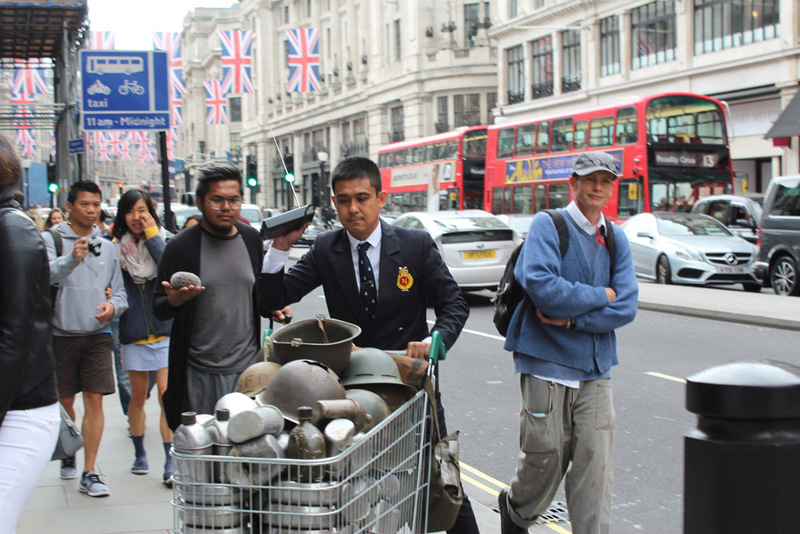 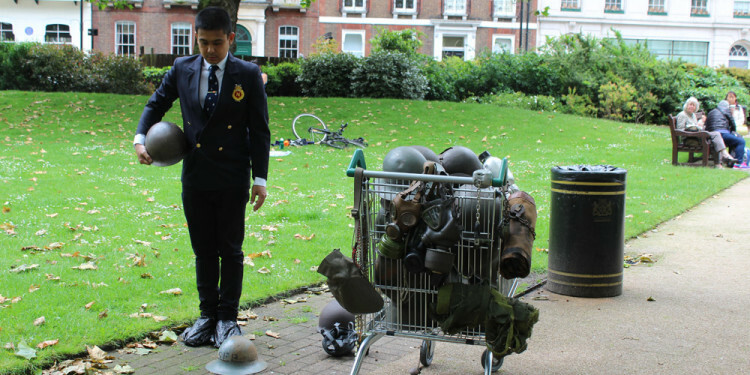 The performance explores the synchronisation of political interests, capitalism, commercialism, war, religion, migration, poverty, and inhuman acts in the making of Central London’s urban environments. 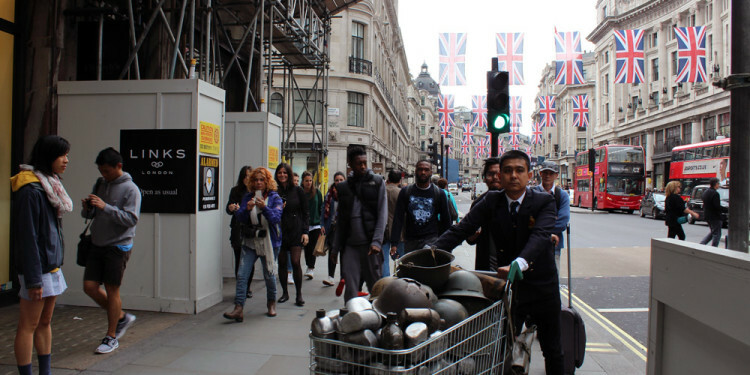 As part of the London Biennale 2016 ‘Synchronisation / Syncopation‘, the artists will undertake a journey through the urban spaces of Central London, testing their own physical and mental endurance as they move through sites echoing a history of destruction, reconstruction and the silent voice of people around us. 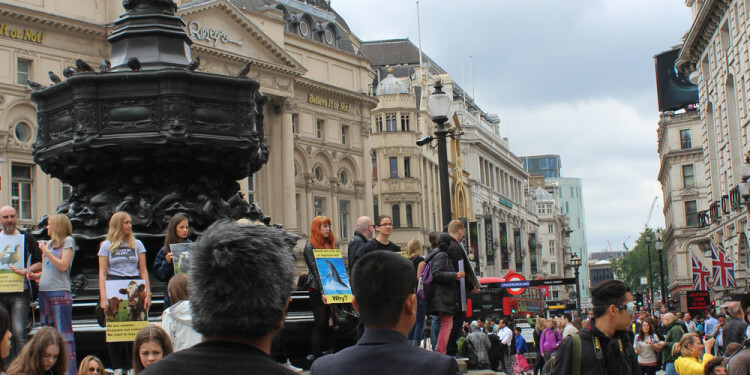 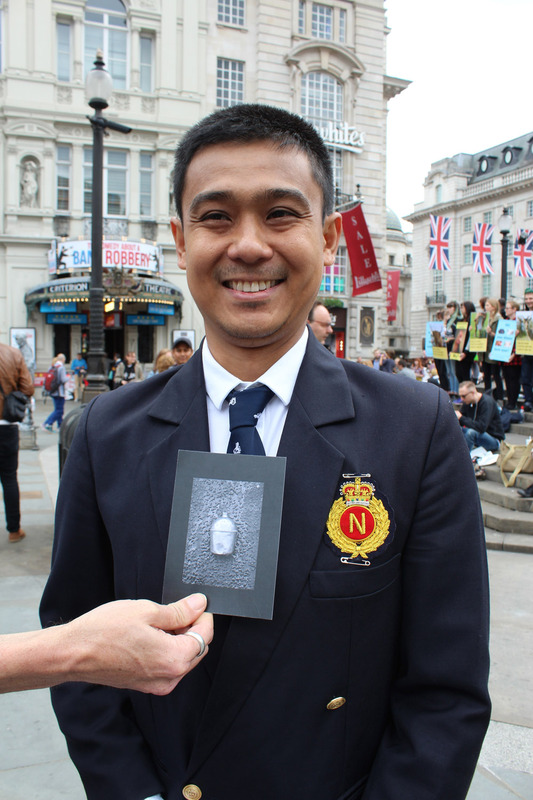 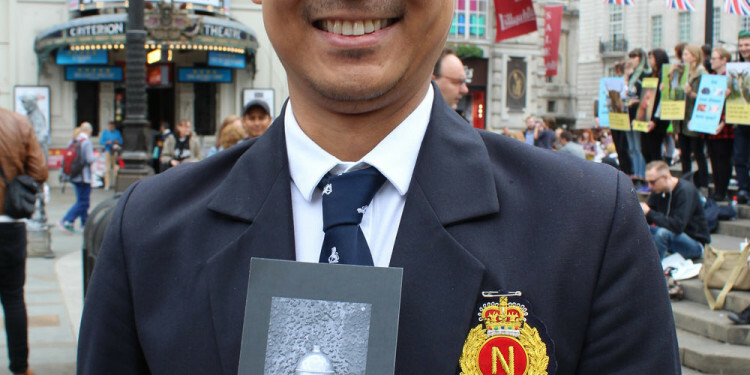 The artists welcome you to join them on a journey through central London or to meet them at the final destination on Piccadilly Circus.